I am so in love with this session! This beautiful mama came to the studio early to have her makeup done by one of our exclusive makeup artists while her precious and happy baby boy sat contentedly in his carseat and observed all the happenings around him. Before she settled into the makeup chair, we went through a few different clothing options from the studio wardrobe and we narrowed down our options to the items you see below. Emily chose to style her own hair and all of the pieces of our preparation came together so beautifully! 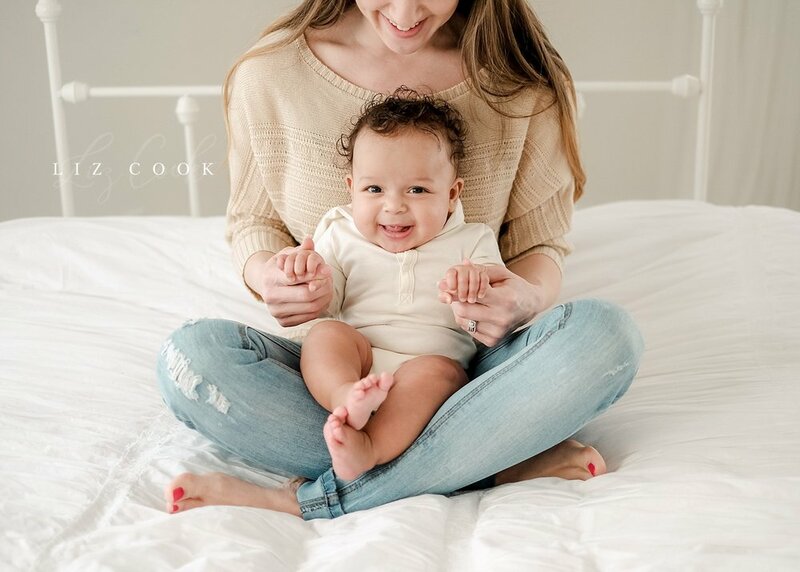 Of course, you can't dress up emotion or love, so it's the genuine smiles, giggles and their glowing mother-son bond that really make these images some of my favorites! 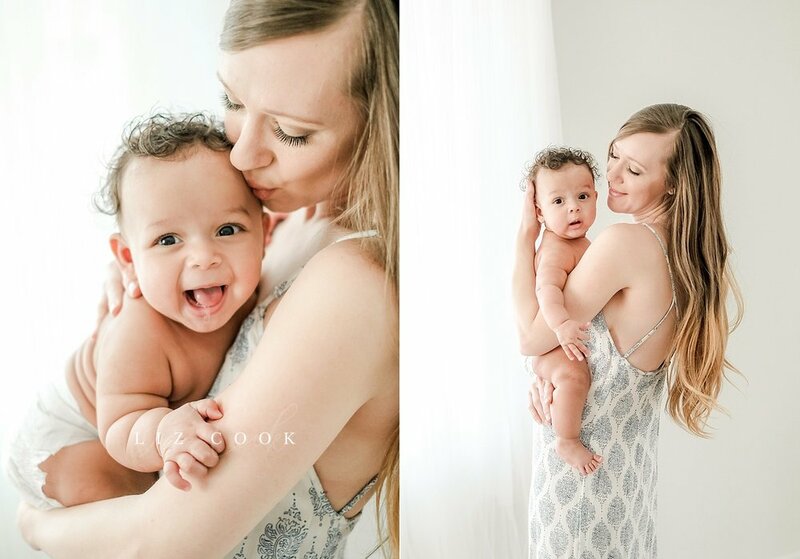 Babies grow so fast, now is the best time to capture them as they are! If you're looking for a baby or family photographer, I would love to work with you to create images you will cherish for a lifetime. Contact me and if you'd like, we can set up a no-obligation studio consultation to answer any questions you may have. Are you planning a photo session? Have you grabbed your copy of my latest guide? It's my top 10 tips to help you prep for the perfect photo session and it's free! 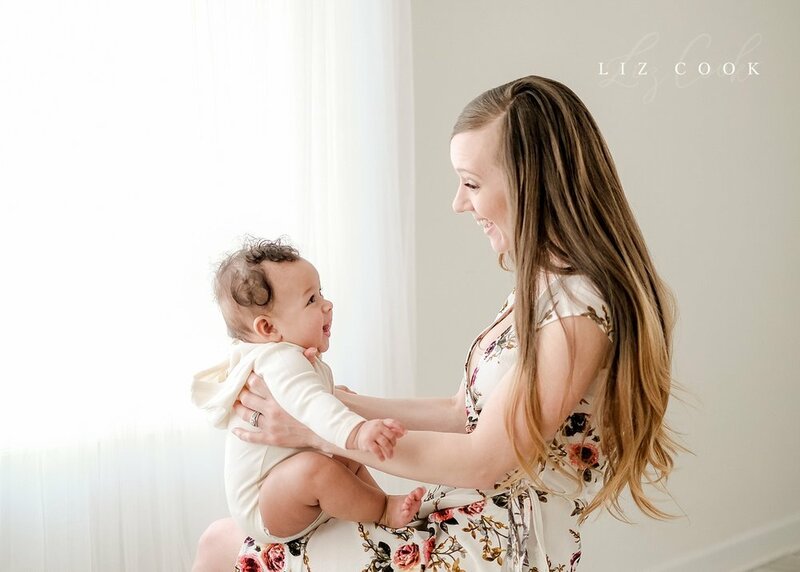 Liz Cook is a motherhood, baby and wedding photographer in Central Virginia. She loves to photograph emotional and storytelling portraits, the details of parenthood, and fun and easygoing couples in love. 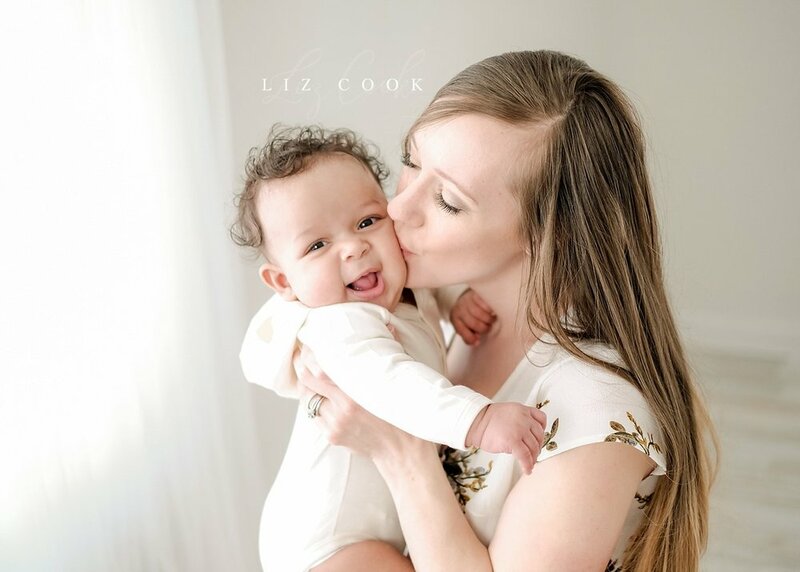 Liz Cook is a wedding, birth, and motherhood photographer based in Central Virginia. Her intuition and creative perspective allow her to connect both professionally and personally with her subjects, and thus, her portfolio is saturated with authentic emotion. 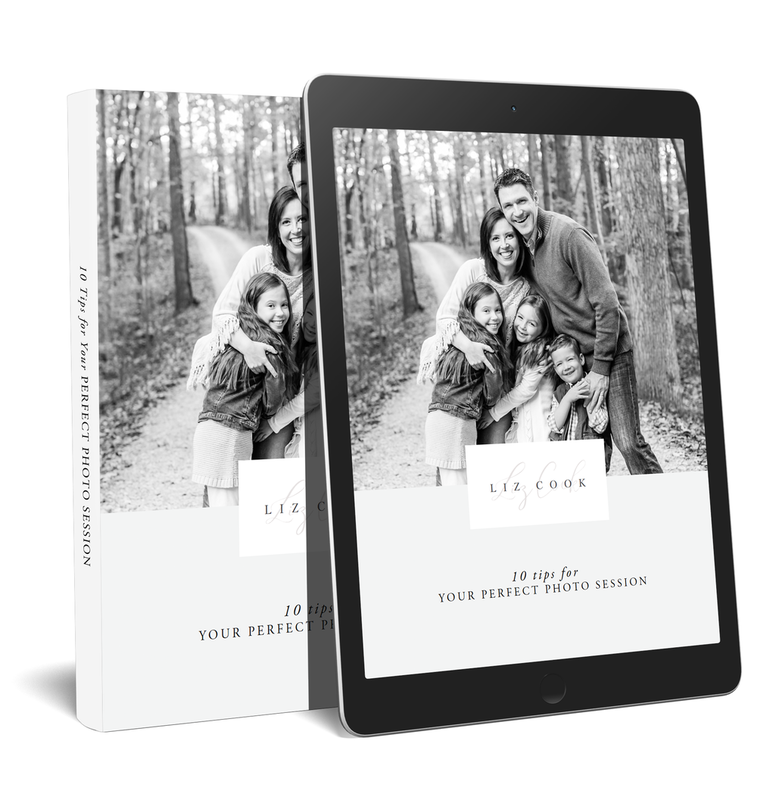 Whether she's sharing her story with fellow entrepreneurs or enjoying quality time with her husband and two daughters, Liz is both present and passionate about capturing and celebrating life. Her work has been featured by O "Oprah" Magazine, The Huffington Post, The Glitter Guide, Essence Magazine, domino, Rue Magazine, among others.